Kuwait's state-owned petroleum company may be closing in on a $4-billion joint venture with Athabasca Oil Corp. in Alberta's oil patch. On Friday, the Globe and Mail reported that the Kuwait Petroleum Corp. had signed a memorandum of understanding for an investment with the Calgary-based firm. The newspaper quoted Kuwait's ambassador to Canada, Ali al-Sammak, as confirming a deal that he says should be finalized by October. "It’s a plus-or-minus $4-billion deal and in October they’ll be coming back to follow up what has been signed," the paper quoted al-Sammak as saying. Later in the day, the company confirmed a transaction in a short press bulletin. 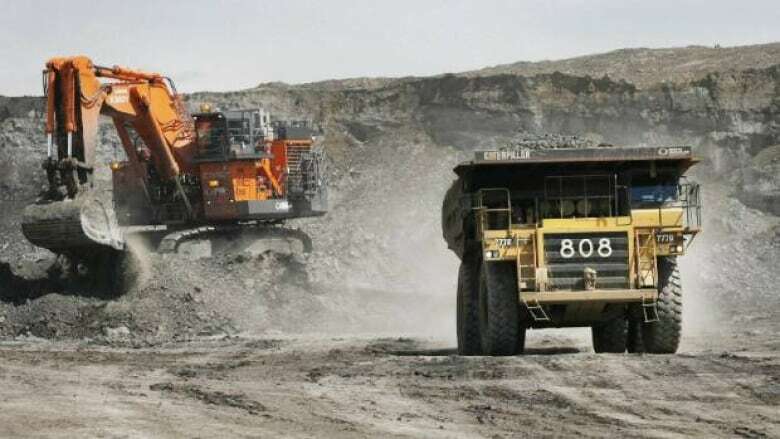 "Athabasca confirms that it has signed a letter of intent that contemplates a joint venture involving Athabasca's Hangingstone and Birch properties," the company said. It did not name the other partner in the joint venture. Athabasca shares were halted on the Toronto Stock Exchange early Friday. When trading resumed, the shares quickly moved higher and gained $1.07, or almost nine per cent, to close at $13.57. The company cautioned that the deal remains conditional on finalization of definitive documentation and the receipt of all necessary internal and regulatory approvals." "Athabasca cautions that no assurance can be given that the transaction contemplated by the letter of intent will be completed." The company also said it will make no further announcements or communications regarding the transaction until either a definitive agreement has been reached or it determines that disclosure of developments is appropriate. The deal comes after the company publicly stated last month that it was looking for a partner to help develop its properties. "The company has undertaken joint-venture initiatives during the first six months of 2012 and we are confident that an oilsands joint venture agreement may be concluded during the third quarter," CEO Sveinung Svarte said on a July 26 conference call to discuss the company's second-quarter results. Athabasca is no stranger to joint ventures. In 2009, Athabasca sold a 60 per cent interest in its MacKay River and Dover oilsands lands to PetroChina. Earlier this year, Athabasca exercised its option to sell the rest of MacKay River to PetroChina, making it the first oilsands operation to be fully controlled by a Chinese company. Another Chinese state-owned outfit, China National Offshore Oil Company, has reached a deal to buy Nexen Inc. for $15.1 billion, which would give it full control of the Long Lake oilsands project in northern Alberta. Industry Minister Christian Paradis is weighing whether the deal is of net benefit to Canada.